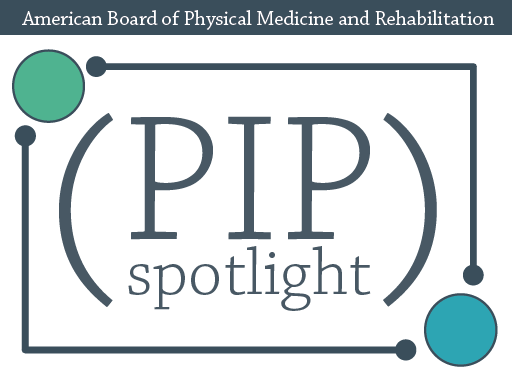 We are excited to introduce the PIP Spotlight! Diplomate feedback has indicated that not only would you appreciate some example PIPs to help spark ideas for your own project, but you also want to know how your fellow diplomates are using the PIP project to improve something in their practices. You’ve said that because we’re collecting this data from you — we should share it! The PIP Spotlight allows us to do just that. 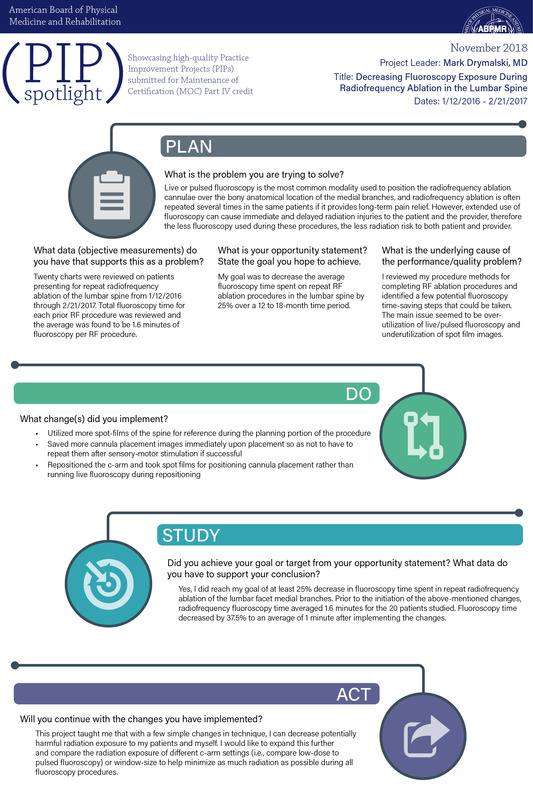 Here’s how it works: Periodically, we will feature high-quality Practice Improvement Projects (PIPs) that have been submitted for Maintenance of Certification (MOC) Part IV credit. Diplomates can use the PIP Spotlight as a tool to model additional PIPs on what you read here, or as a way to connect with other diplomates doing similar work.